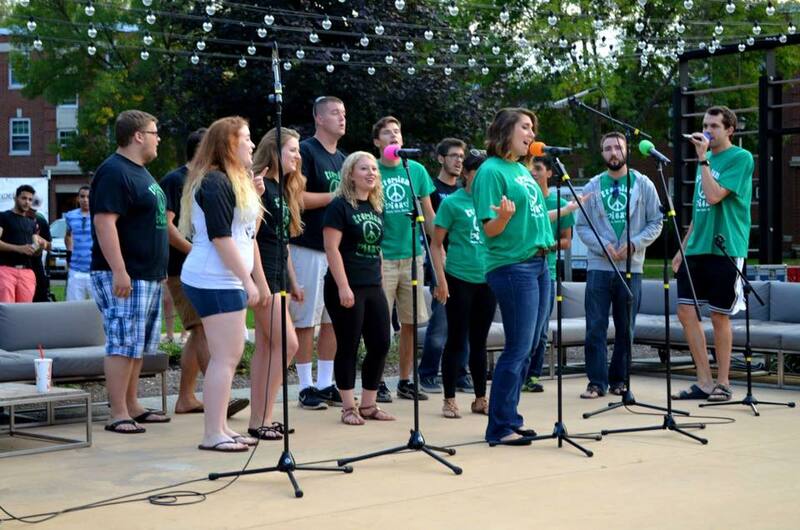 Premium Blend is SUNY Fredonia's original co-ed a cappella group. Since the Spring of 2005, we have been performing on and off campus for a variety of shows, concerts and events! We perform songs within a variety of genres including pop, rock, country, and jazz. Our unique covers are all arranged by members within our group. Our group is entirely student-run and is managed by an E-Board comprised of students within the group. Admission into the group is based on auditions, which we host twice per year at the start of the Fall and Spring semesters. Blend performed on the Downtown Disney Waterfront Stage in Orlando, Florida. In addition, Premium Blend has been the proud title holder of the SUNYpella ROCKS competition in previous years. We hold an Annual A Cappella concert where we host multiple schools and groups form all over the state. Contact our Business Manager for information on how to get involved and keep an eye out on our Schedule tab and come see our next performance! Think you've got what it takes to be a Blender? We will hold auditions within the first few weeks of each semester! You can come find us at the fair/activities night to sign up! ***IF you can beat-box/perform vocal percussion we definitely want to hear it! Just let us know and drop a beat for us!